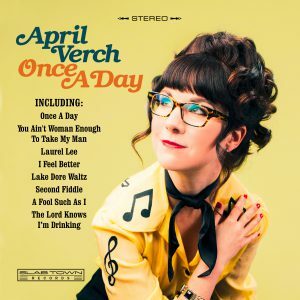 April Verch ‘Once A Day’ Out Now! Happy Days! My 12th full length recording, a tribute to classic country music from the 1950s and 60s is available now! My heartfelt thanks to the entire team involved in making this release possible – especially my producer Doug Cox, recording engineer, Bil VornDick, and the incredible musicians who shared their talents and passion, as well as the Canada Council for the Arts for their support. Find out more about the album, tracks, team and where to listen or purchase right HERE.